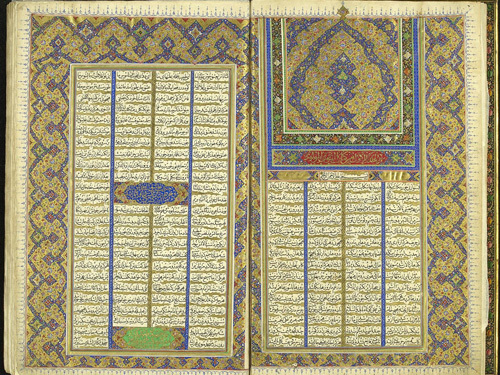 A unique collection of over 120,000 pre 1850 books, and over 3 million archives and manuscripts including the papers of the Chamberlain family, the internationally important Mingana Collection of Middle Eastern manuscripts and the papers of the Church Missionary Society. We welcome all interested researchers to use Special Collections at the University of Birmingham, whether you are a member of the University of Birmingham or an external user. All researchers (including members of the University of Birmingham) need to register on their first visit so that we can issue a Special Collections card. For further details about how to register please see our website. Lockers - Coats and bags are not allowed in the Searchroom. They can be left in the Reception Area lockers. Reprographics - We offer a full reprographics service: details are provided on our website. Use of digital cameras - Readers may use digital cameras to make images for their own personal use. If you wish to do this please talk to a member of staff who will advise you how to register. Details are provided on our web site. Microfilm/fiche readers and printing - Microfilms/fiches may be consulted in the Searchroom; readers may make their own copies for a charge. Use of laptops - The study tables are supplied with power points for the use of laptops. Wireless networking is available throughout . Searchroom PC’s - Readers can access our catalogues and eResources via the Internet. Refreshments - are available in the café on the ground floor of the Muirhead Tower. 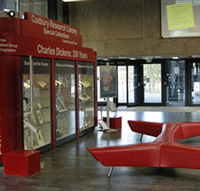 The Cadbury Research Library is a completely accessible facility. The Muirhead Tower is accessible by a lift to the left of the main entrance. A lift at the rear of the main foyer area of the building will take you straight to the Lower Ground Floor where The Cadbury Research Library is located. Bus: Buses 61, 62, 63, 44, 21 from city centre. Car/coach: Off A38 (Bristol Road), 100 yards n. of junction of Edgbaston Park Road and Pritchatts Road. Cars: Car parks on campus, directions from barrier attendant.